Take a look at the top 10 museums you must see when in Riga. Latvian National Museum of Art is the most significant depository in the nation for works of art. Reopened in May 2016, the building itself has been upgraded, modernized but its majestic beauty from a long-gone era – preserved. The Riga Motor Museum hosts the largest and the most modern antique vehicle collection in the Baltics. The museum exhibition is organized in a form of an exciting interactive story about unique vehicles, notable persons and the most significant events in the history of the automotive industry, complemented by modern multimedia technologies. The Latvian Ethnographic Open-air Museum is one of the oldest open-air museums in Europe. Now its territory covers 87.66 hectares of forest on the banks of Lake Jugla. The museum displays 118 historic buildings from all Latvian regions – Kurzeme, Vidzeme, Zemgale and Latgale dating from the 17th century to the beginning of 1930s. The Art Museum Riga Bourse stores the largest collection of foreign art in Baltic States. The collection was started by Riga’s council members, mayors and traders in 19 century. Now museum offers international exhibitions and vide spectrum of culture and arts events. This is the oldest public museum in Latvia and one of the oldest in Europe, the origin of which dates back to 1773. The Museum reveals Latvia’s history from 1940 until 1991, when occupations by both the Soviet Union and Nazi Germany were experienced. THE MUSEUM HAS LEFT its permanent premises in the Square of Latvian Riflemen (Latviešu strēlnieku laukums 1) to temporary premises at 7 Raiņa Boulevard, where the temporary exposition may be viewed in four exposition halls. Come and see nature in the very heart of the city! The Natural History Museum of Latvia is a genuine oasis of nature in the middle of civilisation – in the centre of Riga. Rīga is one of the few European cities where Art Nouveau architecture, art and design objects have survived in great numbers. It is even called “the metropolis of Art Nouveau”. 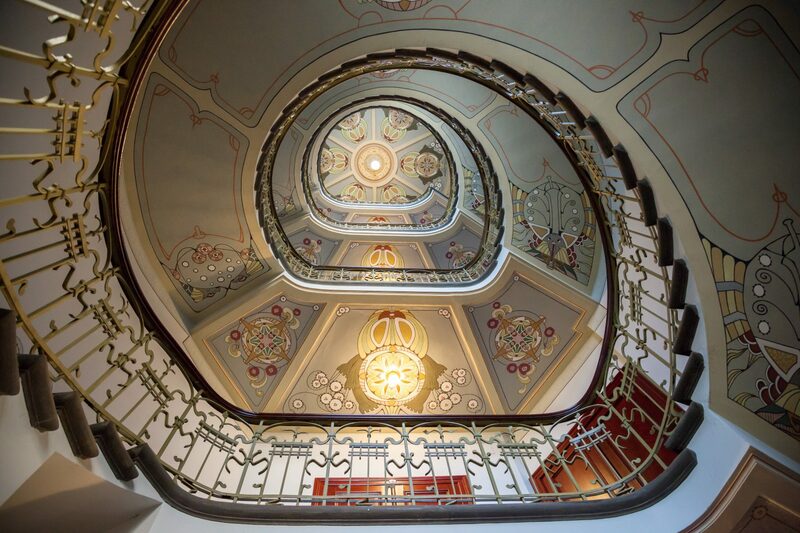 There are 800 Art Nouveau buildings in Rīga, mostly located in the city’s centre – particularly on Alberta Street. Riga Art Nouveau Centre can also be found on this street, in the former apartment of the renowned Latvian architect Konstantīns Pēkšēns, who lived and worked here till 1907 and designed this beautiful building. The largest repository of assets related to the history of Latvia. The Museum was established in 1869 and has a stock of more than a million items – a unique collection of archaeological, ethnographic, numismatic, historic and artistic items. In the main exhibition, Latvia’s history is reflected from ancient times until the beginning of the 20th century.